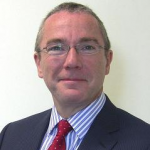 Latest news and updates from Professor Alistair Burns, National Clinical Director for Dementia, NHS England. Alistair graduated in medicine in Glasgow in 1980 and trained in psychiatry at the Maudsley Hospital and Institute of Psychiatry in London. I became the Foundation Chair of Old Age Psychiatry in The University of Manchester in 1992, where I have been Head of the Division of Psychiatry and is Deputy Dean of the Faculty of Medical and Human Sciences. Alistair leads the memory clinic in Manchester Mental Health and Social Care Trust (MMHSCT) and the old age liaison psychiatry service in UHSMT. Alistair is a Past President of the International Psychogeriatric Association, and is on the board of the European Association of Geriatric Psychiatry, and a member of the Council of the British Association for Psychopharmacology and the Medical Research Council College of Experts.